I was showing my grandchildren this photo of the Snake Man in Wagga Wagga and it got me wondering if he was still active – and he is. 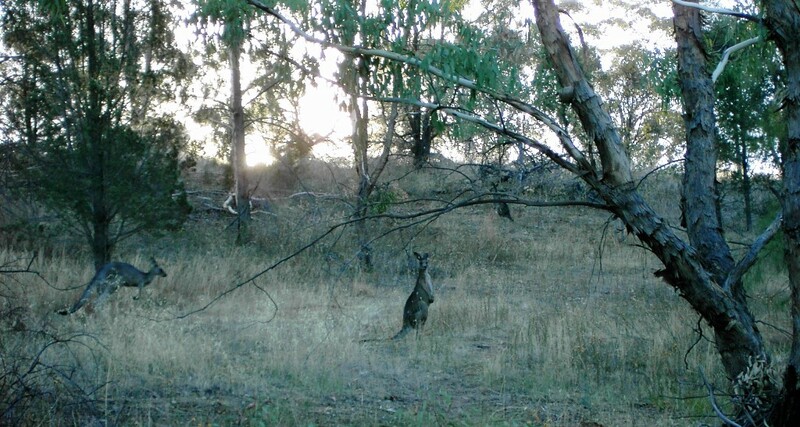 The photo above was taken in 2004, not long after my wife and I had moved to Wagga Wagga, in South eastern Australia, as I was teaching at Charles Sturt University. We stayed there for 3 years and came back to Dunbar, from where I taught online for another 6 years, going to Australia for 6 weeks each year in October/November. My wife was running with others from Wagga Wagga Road Runners at Pomingalarna Reserve (good photos) and I was walking up one of the hills when we came across a man with a hessian sack and a hooked metal rod. I asked about the man and was told “Aw, look James, it’s the snake man”. As an aside, the word ‘look’ here does not mean ‘have a look at this’ but is a word Australians use to explain something. I always joked with my students that I was called “Luke James” in Australia. I asked the Snake Man what he was doing and he took out the snake in the photo and released it into the nearby bush. I enquired about what kind of snake he was releasing. “The second most dangerous snake in the world” he told me. It was a brown snake and, to my horror, he was releasing it just a few metres from the running track where the runners were soon to pass. He assured me that the runners were in no danger and that people who were killed by snakes in Australia were almost always trying to kill the snakes. 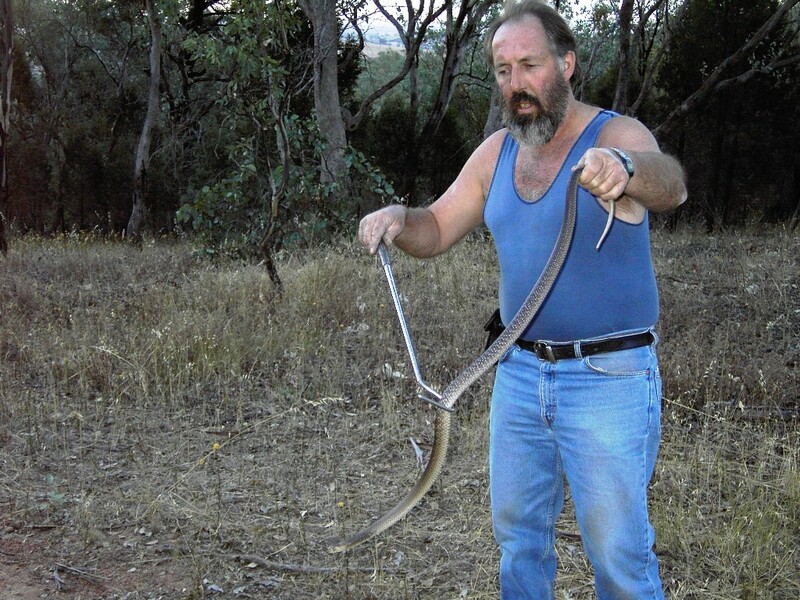 I looked him up recently and Tony Davis (up to date photo) is still going strong, with people still regularly phoning him up to remove snakes from their houses and take them to Pomingalarna – photo below with other wild life on the reserve. Back here in Scotland, we met old friends in Peebles (good photos) which I’ve featured on this blog (good photos) a few times. We were walking along the banks of the River Tweed (good photos) when we saw a mother duck and her 8 ducklings swimming together (1st photo) and then slightly apart (2nd and clearer photo). By coincidence, that day I’d turned over a page in Chris Rose’s book In A Natural Light and it was a painting of a duck family also. I’ve had Chris’ permission to reproduce some of his paintings with acknowledgement. The painting is wonderfully realistic but also so vibrant in its use of light and shade and delicate colour. For the mother duck, this is a serious business, as it was for the mother duck in Peebles. 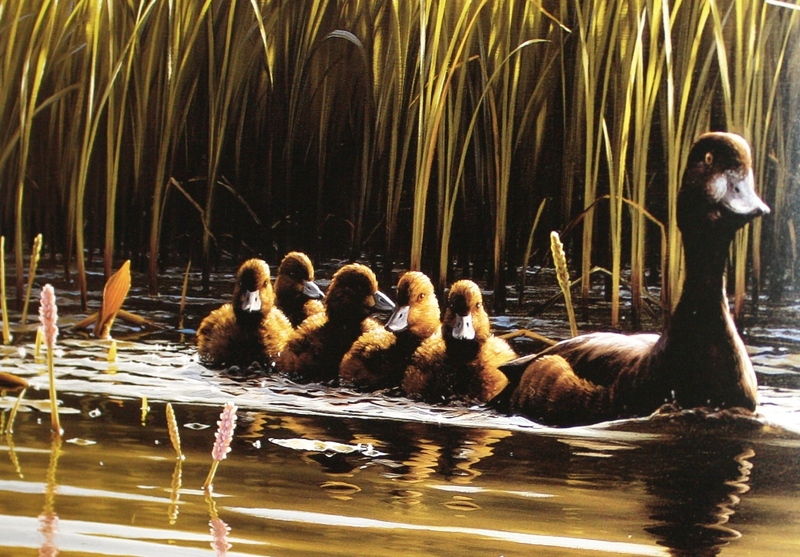 Chris Rose Tufted Duck Family from the book ” In a Natural Light”.